Poetically penned ‘Halong Bay on the rice paddies’, the area around Tam Coc boasts stunning scenery. While Halong Bay has rugged rock formations jutting out of the sea, here they soar skywards from a sea of green. 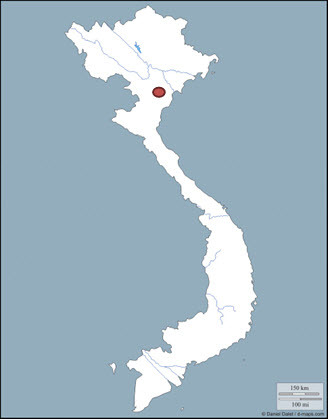 Tam Coc is named after the low caves through which the Ngo Dong River flows. The essential Tam Coc experience is to sit back and be rowed through the caves – a serene and scenic trip, which turns into a surreal dance towards the end. The boats carry two people as well as the main rower at the rear and a secondary rower, usually an elderly woman, whose purpose becomes clear at the end of the journey. Hang Ca, the first cave, is 127m long; Hang Giua 70m long; and the third, Hang Cuoi, is only 45m.